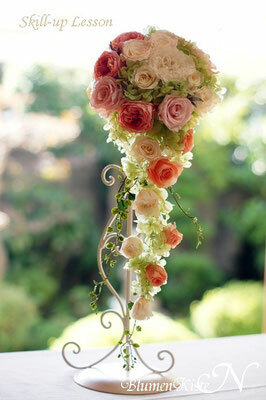 BlumenKiste-N offers a wide range of preserved flower arrangement classes for visitors to Japan. 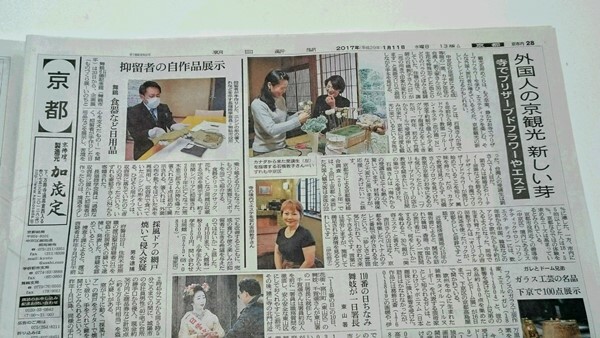 A trial lesson is offered with green tea ceremony for travelers. 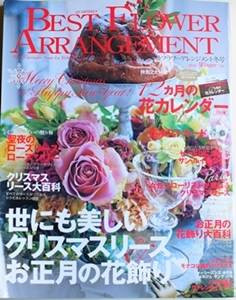 If you enjoy arrangements of preserved flowers, we recommend BKN lessons. We offer the specific coursers leading to AUBE diploma for those who want to be professionals. You can make your original preserved flower work at your own pace. After workshops, you can take back your own works. Preserved flowers and their foliage keep their fresh appearance and texture for several years without water. It is difficult to distinguish them from natural cut flowers because of their beauty, softness and delicate appearance. The preservation processes substitute flowers need for water with non-toxic preservation agents, and remove flower-harming bacteria. 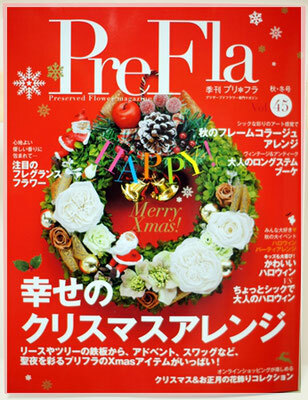 Preserved flowers are suitable as gifts to friends who are allergic to pollens since preserved flowers are pollen-free. Please keep the preserved flowers dry. They do not need water. Please keep them in places with low levels of humidity (between 30-50 %). Water or high humidity may cause color and dye leakage. Please "gently" brush away dust from the flowers. 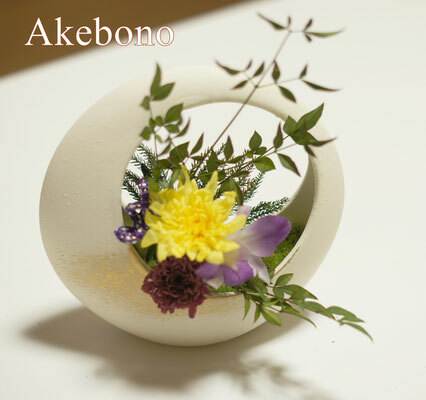 We offer classes of Japanese style preserved flower arts. 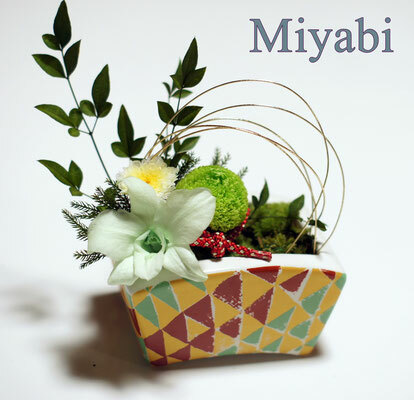 You can learn how to make flower pots like Ikebana. 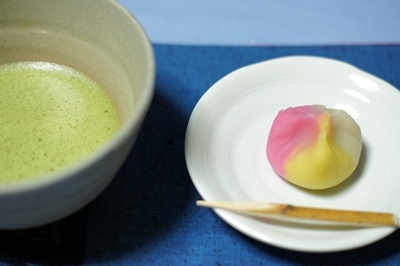 We serve Maccha tea and Wagashi sweets after classes. In our workshops, you can choose from two arrangement styles: the Akebono (曙) or the Miyabi (雅). 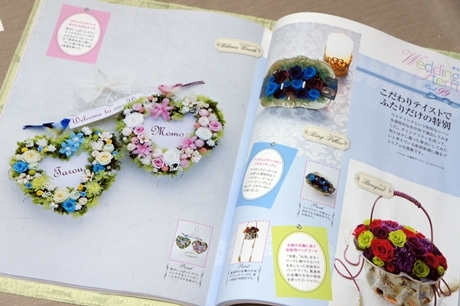 There is a variety of flower vases. BKN class is our originality. 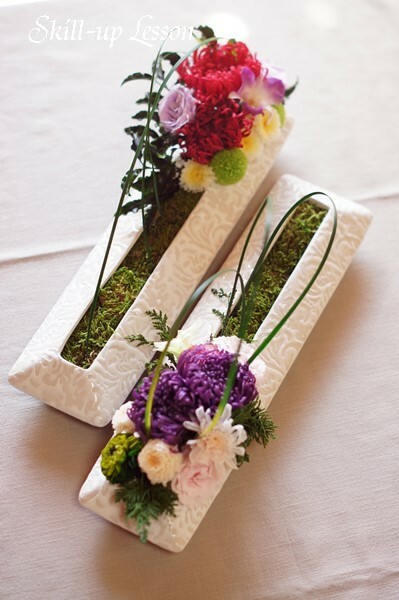 In this course, you can learn the processes of preserved flower arrangements. We offer three courses from beginners to experienced. This course is for those who want to be professional preserved-flower florists. 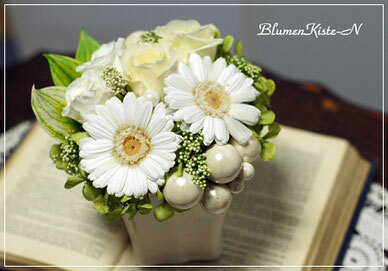 BlumenKiste-N is an AUBE Preserved flower Academy certified school. We offer lessons for 12 works and an accreditation test. After passing the test, you receive the AUBE diploma. We offer 2 more lessons. These lessons are for those who want to open their own AUBE certified school. Joto-in (成等院) is a Buddhist temple of Jodo Shu (浄土宗:　established by Honen in 1175）in Nakagyo-ku, Kyoto city. Marutamachi-street facing Joto-In is a tourist route that goes from Eikan-do Zenrin-ji temple or Nanzen-ji temple to Arashiyama. Beyond Joto-in gate, you will gradually experience a silent an relaxing atmosphere away from the day's hustle and bustle. 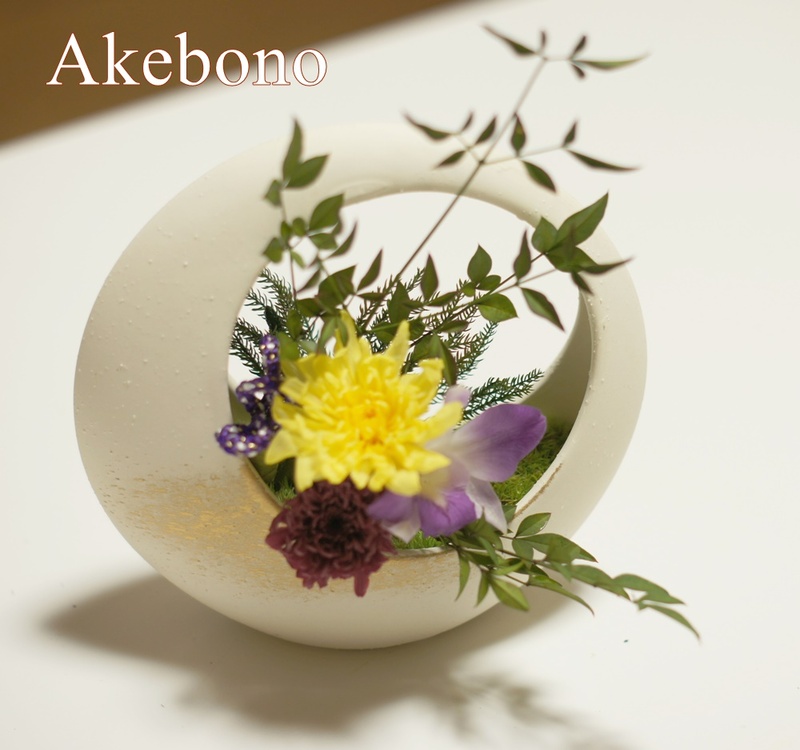 We hope you will enjoy our lessons for preserved flower arrangements and wish you a memorable time at Joto-in. Around 1745, Shinbai -Tannne (信培湛慧） founded the original temple of Joto-in in the mountain, the northern part of Kyoto city. Joto-in was maintained by six monks from 1747 to 1886, but was severely devastated around 1887. 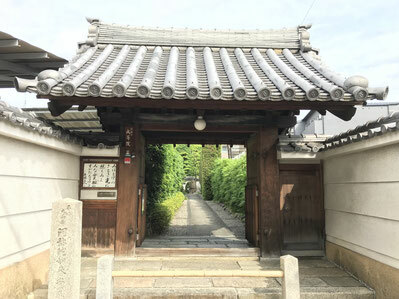 In 1911, Tessui Oshima(大島徹水) who later became the chief priest in Zojo-ji temple(増上寺) stayed in Joto-in and decided to revive the temple. However, he founded Kasei Girls School(家政女学校) for girls' higher education, and the rebuilding of the temple was delayed. In 1927, his disciple Kaido Ishibashi (石橋誡道) started to rebuild the temple. Please make a reservation ten(10) days in advance. 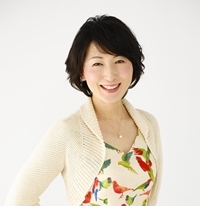 Three(3) days advance notice is required for cancellation after which 4,000-yen lesson fee will be charged. Cancellation can be made through our contact form. If you are booking a lesson, please write the desired course and date. In case of cancellation, please tell us the reason.